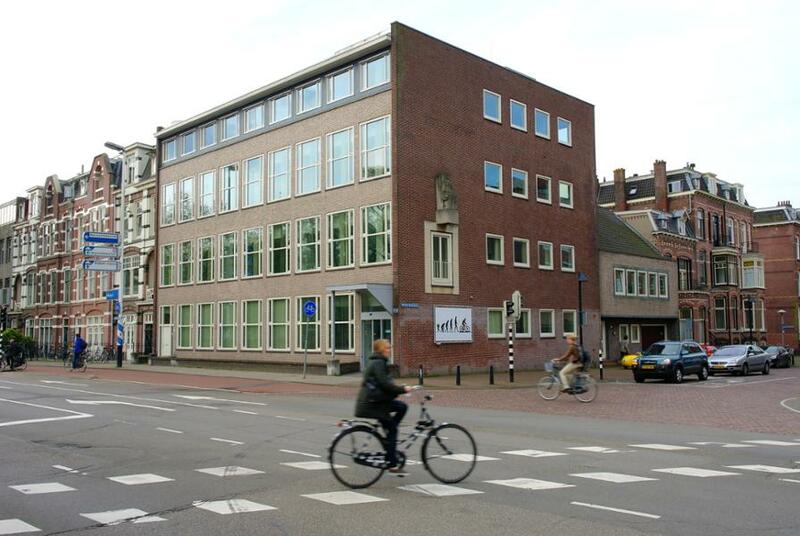 The head office of Fietsersbond is located in Utrecht, in the heart of the Netherlands. Our employees work on communications, volunteer support, political lobbying and administration. Our office can be found near Utrecht Centraal train station. Leave the station through Hoog Catharijne shopping mall at the Moreelsepark exit (near HEMA and the Albert Heijn supermarket). Cross the cyclepath, and follow the main road on your left (Catharijnesingel). After 600 meters you arrive at the Nicolaas Beetsstraat. Our office is at 2a, second floor. Saskia Kluit is our director since 2015, and works for Fietsersbond since 2009. Prior to that, she worked for various environmental organisations. Saskia thinks that cycling is good for everything: the environment, public health and the economy. 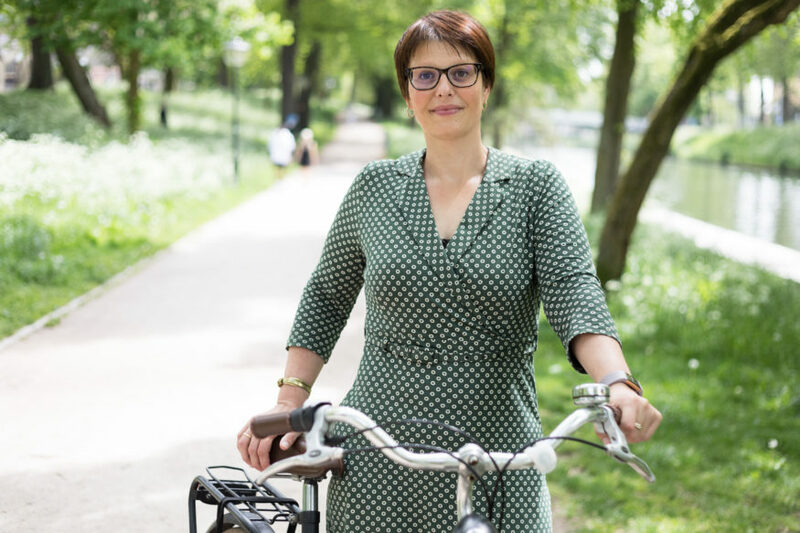 She is chair of the Dutch Cycling Embassy and an experienced public speaker about sustainable mobility. You can contact Saskia via e-mail: s.kluit@fietsersbond.nl or via our main phone number: +31 30 291 81 71. Franc Weerwind is our chair since 2016 and mayor of the city of Almere. Franc is of Surinamese descent, but was born and raised in The Netherlands. His main goal is to prepare Fietsersbond for the future and get young people on board. You can contact Franc via our main e-mail address: info@fietsersbond.nl. William Nederpelt is our board member International Affairs and vice-president of the Europan Cyclists’ Federation. William has been a Fietsersbond volunteer for over 25 years and works as a consultant on sustainability. He describes cycling as a way of life. You can contact William via e-mail: w.nederpelt@fietsersbond.nl. Wim Bot is our international public affairs officer since 2008. 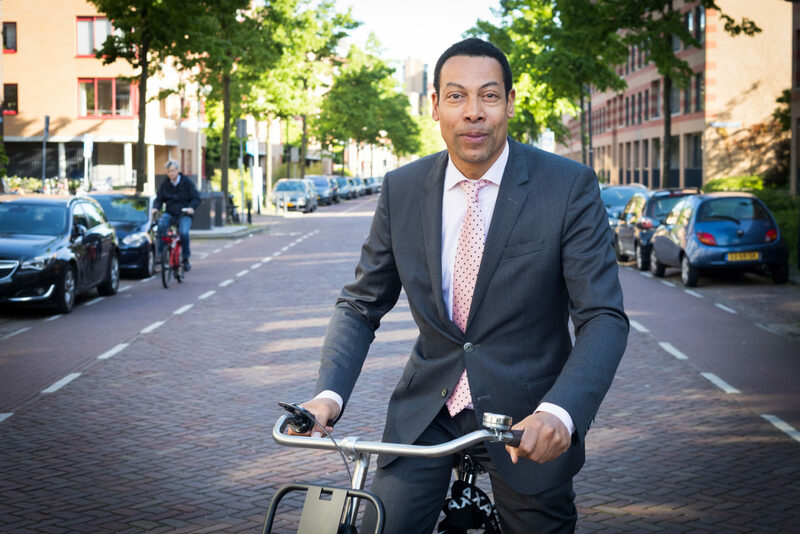 Wim is a self-proclaimed political animal, and his mission is to put cycling higher on the national Dutch agenda. Wim is our main contact person for the European Cyclists’ Federation and has presented on many conferences around the globe. You can contact Wim via e-mail: w.bot@fietsersbond.nl, or phone: +31 30 291 81 54. Martijn van Es is our campaign manager and primary press spokesperson for foreign media. He speaks English and understands German.